Are you looking for an economical alternative to a brand new Barton gauge? At Gage-it we're experts in the repair, calibration and certification of liquid level gauges. 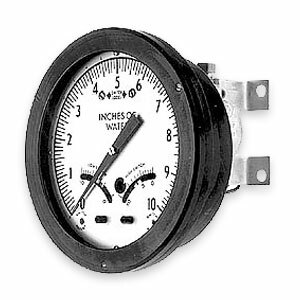 With over 45 years experience in the gauge repair and restoration industry, we offer a complete range of rebuilt Barton differential pressure gauges including all models of ITT Barton, Prime Measurement and Cameron panel mount liquid level gauges. Our rebuilt gauges have been completely disassembled, cleaned and worn or defective parts replaced to restore them to like new condition. All rebuilt gauges are dead weight tested and calibrated and are guaranteed to have accuracy equal to the manufacturer’s originally stated standard. N.I.S.T. Certification and oxygen cleaning can also be provided.